Rabies is a scourge as old as human civilization, and the terror of its manifestation is a fundamental human fear, because it challenges the boundary of humanity itself. That is, it troubles the line where man ends and animal begins—for the rabid bite is the visible symbol of the animal infecting the human, of an illness in a creature metamorphosing demonstrably into that same illness in a person. 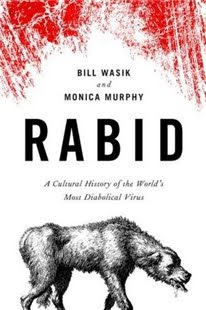 Bill Wasik and Monica Murphy’s Rabid: A Cultural History of the World’s Most Diabolical Virus is just what the title suggests: the authors (a journalist and a veterinarian respectively) combine science and cultural history to tell the story of the rabies virus and of how it came to loom so large in our collective imagination. Rabid takes us from the ancient world to recent rabies outbreaks in modern day Bali and among the raccoons of New York’s Central Park; from medieval doctors to Louis Pasteur; from The Iliad to vampire myths; from the laws of ancient Mesopotamia to today’s zombie films. One of the most interesting things about Rabid is the fact that it explores our relationship with the natural world: the threat of rabies, both real and imagined, forces us to reassess our place in nature and to confront the artificiality of the boundaries we’ve established. The fact that rabies is a contagious virus deeply linked with the animal kingdom (and thus associated with the sordid and brutish in our minds) has had fascinating, though often horrifying, social repercussions. Wasik and Murphy explore these fears of contagion throughout history, and also their implications in terms of race and class. Dr. Gómez- Alonso’s theory, if questionable in its literal meaning, taps into a deeper metaphorical truth. So many of our most enduring horrors, the vampire and the werewolf included, have common narrative elements that derive naturally (in both senses of that word) from rabies. Just browse the horror-movie section of your local video store and see what’s on offer. It’s villains pouncing from the darkness, biting, lunging, tearing with claws. It’s contagion: a malevolence that creeps from victim to victim, spreading through bites, kisses, licks. It’s a familiar creature— a trusted soul, often residing within one’s own inner circle or even within one’s home— that becomes surprisingly and unaccountably infected by a savage animal evil. Back to the days of lyssa and even before, these fiendish tropes have been forever intertwined with rabies, a constant presence across continents and across eras. Indeed, for most of human history, among those who knew little or nothing of medicine, rabies was merely another horror story in the same genre: a scream heard today in the next town over, quite possibly to resound in one’s own town tomorrow. To be clear: the fast zombie is not a rabid zombie, per se. These films are not in any sense about rabies, or about the fear of rabies; or, rather, if they are, it’s only in the sense that the endorphins we feel on the treadmill are “about” the predator (not) nipping at our Nikes. A hundred years have passed since Americans have died from rabies in any meaningful number. And yet the basic trope of the fast zombie tale—the viral force that cuts out a soul, leaving a ravaging animal behind—has rabies woven deep into its DNA. Shielded from the disease, we nevertheless cannot wholly free ourselves from the fear. But the second half of Rabid, which is more focused on science, was actually my favourite. The chapter about the Pasteur’s work on the rabies vaccine makes for a very gripping science narrative and left me wanting to read more about his life and work. I should perhaps add that it’s impossible to write a book like Rabid without some accounts of very unpleasant things being done to animals. Wasik and Murphy’s descriptions are never voyeuristic, but do brace yourselves if like me you find reading about this kind of thing a little difficult. Where rabies is concerned, the more humane alternative is also the more scientifically sound one. In Chennai, India’s fifth-largest city, the activist Chinny Krishna of the Blue Cross of India infuriated some public officials when he insisted that the local municipality rely on neutering and vaccination to reduce the rabies problem, rather than continuing to cull street dogs. Krishna pointed out that it was in 1860, back when the city was called Madras and ruled by the British, that Chennai first began exterminating dogs in hopes of reducing their number. He says his group became convinced that “if a procedure designed to control or eliminate street dogs had not showed positive results after implementing it for over a hundred years, something was wrong.” The rationale of “animal birth control,” as Krishna famously called his now-nationwide program— he wanted people to understand that it was “as easy as ABC”—is that neutering and vaccines together will reduce the fraction of dogs susceptible to rabies, creating a stable community of immunized dogs as a barrier to the ongoing spread of the virus. The authors of Rabid take a a bit of a chance by going off in several different directions, but the result is a book that offers something to everyone: whether it’s the history, the mythology or the science you favour, there’s plenty here to discover and enjoy. Throughout this vast expanse of history, the constant threat of rabies—rare yet tinged with horror— served as merely another wrinkle in early civilization’s intimate, complex relationship with the dog. By this point dogs had been domesticated (or had domesticated themselves, as most scholars now believe) for at least ten thousand years, and yet their role in society was profoundly dissonant. Based on findings of teeth and bones around Mesopotamian sites, archaeologists have concluded that semi-feral dogs (as well as pigs) roamed cities as scavengers, feeding on trash. Yet many dogs were companions, for whose actions a human was responsible, as the Laws of Eshnunna attest. Alongside the other attendant advances of civilization, such as the city and the written word, reliable breeding of dogs first emerged during this period: remains of sight hounds— a purebred line of dogs that persists to this day in such graceful runners as greyhounds, whippets, and salukis—have been found in the region dating back as far as 3500 B.C. The great divide in worldwide rabies control is between those nations where the disease has been largely eliminated in dogs and those where it has not. This gap is not precisely the same, it should be noted, as the divide between rich and poor. In Brazil, where bat rabies remains rampant but dog rabies has been admirably curtailed through mass vaccination, human deaths from rabies have numbered fewer than ten per year since 2006; compare this with Kazakhstan, which boasts less than a tenth of the population and nearly the same per capita income, but whose death tally from rabies is significantly higher. The special role of dogs is due not just to the way they live with us, and all around us; it’s also due to the way the virus is perfectly matched to the dog as host, expressing itself in canine saliva at levels rarely achieved in other four-footed wildlife. Rabies coevolved to live in the dog, and the dog coevolved to live with us— and this confluence, the three of us, is far too combustible a thing. According to the CDC, dog bites are still responsible for 90 percent of human exposures to rabies worldwide and more than 99 percent of human deaths. Affiliates disclosure: if you buy a book through one of my affiliates links I will get 5%. I downloaded a review copy of this book via NetGalley. Scary book cover, scary facts, very interesting historical detail. Didn't realise that rabid animals were behind the werewolf stories, etc. Great review. This sounds like a fascinating book. We are such animal people in my family, and also having grown up on a farm, I've seen rabies in action and it is terrifying! I recently watched a very bad horror movie that my daughter rented called Quarantine. (Contagious infection spreading through an apartment complex that has to be quarantined. Crazy, blood-thirsty humans, etc.) It wasn't a very good movie, but I did read that all the symptoms of the people in the movie are REAL rabies symptoms. That little fact is still rattling around in my brain. Harvee Lau: It's an interesting parallel, isn't it? I think myths, stories and cultural tropes are likely to have more than just one origin, but it's still fun to spot all the similarities. Eva: I can't wait to hear what you think! I'm especially interested in hearing your thoughts on the last chapter, which describes the Indonesian government's response to a recent rabies outbreak in Bali. I was uncertain about the kind of language the authors used sometimes - would they use the same tone if they weren't talking about a country in the developing world? - but I ended up not mentioning it because I'm not well-read enough to have much to compare it with and be sure there's really something dodgy about it (and plus it's only one chapter rather than the whole book). But I know you read a lot of books about international relations, so do let me know what you think when you read it! Oh, I heard these authors interviewed on NPR - it sounded absolutely fascinating. My imagination was caught by the idea of a virus that drives its victim to create other victims - how devilish! Oh, this sounds fascinating, and like something that I would love to read. Most of the nonfiction that I like tends to be scientific stuff like this, and I saw that another commenter mentioned that this was on NG. Must check this out right away! Great review, Ana! This sounds like something i wouldn't think twice about but of course your review makes it seem really interesting! When I was a child we had to get rid of one of our cats because she scratched my sister unnprovoked and they thought it might be rabies and there was no way of testing without death? I always feel like this is an urban legend when I tell this story but it's true! anyway the cat did not have rabies and I always felt guilty and horrible...she was obviously just a cranky cat. Rabies is a real threat in this part of the country. This book sounds very informative but the science part is probably too much for me. Another book you have me adding to my TBR list, Ana! I have to read this one. Rabies has always fascinated and terrified me. I've read other reviews of this one and they all seem to point me in the direction of wanting to read this! That cover really just draws your eye, doesn't it? What an interesting topic to read about- I like that they brought the cultural part to the fore without neglecting the science behind it. Also, Louis Pasteur was AMAZING. Seriously, he did so much good stuff! This sounds really interesting. As Aarti said, I like the fact that the author focused on both the cultural and scientific facets. I love that you used words like "gripping" in this review otherwise this would be one of those I'd be to afraid to ever pick up, lol. And it's so weird that you DID review this one today because I totally almost picked it up the other day!! Next time I think I totally will! I'm curious about why you picked it up in the first place. Seems a bit outside what you usually read (even though you're very eclectic in your choices). Sounds like a fascinating choice for a reading title. I am not familiar with it, but will be adding it to the TBR pile for certain. Thanks for floating it to the surface. 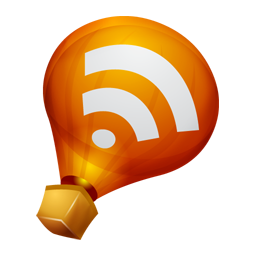 I am not sure that I would have come across it if not for your blog. Sounds like a fascinating book, just the kind of science/culture mix that I like to read (especially if it has anything to do with animals). I find the possible connection between rabies and vampire myths really intriguing. Mumsy: It's the stuff of horror movies, isn't it? And the way they write about it is so engaging. Zibilee: Not sure if it's still up as the publication date has passed, but hopefully you can get it from the library if not! Amy: Oh no, that's so sad :( And yeah, it's impossible to be 100% sure if an animal is infected without an autopsy, which makes situations like that all too frequent. Kathy: The way they explain it actually makes it pretty acessible, I think. Do give it a try! Gavin: I thought of you when reading it - seems exactly like your sort of book. Kathleen: Hope you enjoy it! Aarti: Yes he was! I need to pick up a biography of him at some point. Stephanie Ward: Yes, the combination was what made it so gripping for me. Alex: It was on NetGalley and it seemed interesting. I don't actually think it's that far removed from my usual non-fiction choices - over the years I've read a fair share of weird science/cultural history books like Cold, Parasite Rex, Carnivorous Nights, etc. Though maybe less often in the past year. Liz: You're welcome! Glad to have brought it to your attention. Jeane: Yes, exactly! I think this one's right up your alley.